Season’s Greetings and Safe Travels! 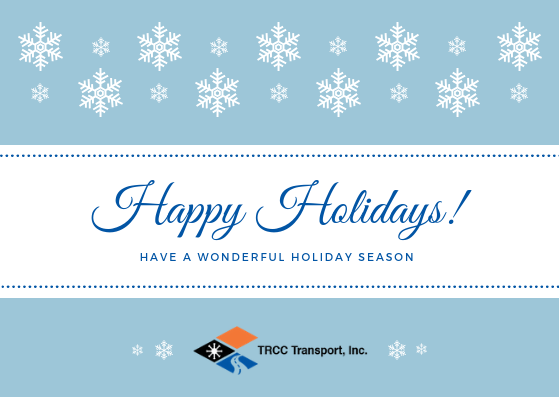 We’ve had another great year at TRCC Transport, and hope you have as well. From our team to yours, we wish you all a happy holiday season and safe travels.